Home » Detox » Xyngular Review – It’s Definitely Not Worth The Price! Xyngular Review – It’s Definitely Not Worth The Price! Xyngular Kit features detox and weight loss products that have had quite the marketing effort. But, how do they compare to some of the more popular supplements on the market? And more importantly, are they worth the price? Find out that and much more by reading the full Xyngular review! Check out Royal 21 Queen System instead! The company Xyngular claims that they have the best products on the market for detoxification and weight loss. We are going to take a closer look at them and see if their products do what they claim they will. Our main focus while reviewing Xyngular products will be the ingredients, side effects, and of course the results if any that people are getting. We will also take a look at some clinical research regarding the ingredients and the science behind their products. And finally,we took into consideration is the feedback from other people we knew both personally and met online. And finally…the price of the Xyngular detox and weight loss kit (which some say it is a little overpriced). Xyngular is a sports nutrition company providing weight loss products which you can buy individually or in a full weight loss program that consists of the products AND a customized diet plan. One of the kits that we are going to take a closer look at is the Ignite Kit, which is basically made of detox drink which says that it removes toxins from the body. The main thing that concerns us here, however, is the way that you lose weight. Basically you're starving yourself because the diet plan shows that you only can eat 3 meals during the 8-day program. It is called the “eating days” on which you can eat only one meal that has from 500 to 600 calories. One other thing is you have to use the product “Flush” which is basically a bunch of laxatives that make you flush your system and essentially you lose some weight. and the other product is the Xyng pill that has an ingredient called geranium root which is a DMAA (a substance of questionable safety). What is inside of this product? Like we mentioned earlier these products can be bought separate but since we are looking into Xyngular’s products that come in kits, we are only going to fix on the Xyng pills that are mentioned as an energizer, appetite controller and mental focus enhancer. As we mentioned earlier geranium extract is a DMAA which means it is not safe to use and it is not scientifically proven that the oil can be extracted from the flower but it is mostly the case that supplement manufacturers add this drug artificially. But there are some good effects from the geranium flower extract. It is known to be used for nerve pain (neuropathy) applied directly to the skin and for diarrhea. Although some people use it only as an astringent to tighten skin. Barley grass is mostly used to lower the “bad” cholesterol or LDL and it may also lower the triglycerides, blood pressure and blood sugar by controlling your appetite. But it has some other effects. It is also used to promote weight loss and help prevent some types of stomach cancer. Is used for many purposes as it is LOADED with antioxidants. Kelp has been known to have many health benefits, from preventing cancer, thyroid regulation to weight management. If you have conditions regarding diabetes kelp can also be helpful with that because it is rich in a little-known mineral called vanadium which is being studied as an important insulin and blood sugar regulator. Because the entire weight loss program is based on small calories intake it is not safe for the body and this kind of technique is considered a starvation diet and can harm your overall health. There are some known side effects like shakiness, jittery, migraines, high blood pressure, sweating and nausea. But in some cases, it can cause insomnia because it has much caffeine and people that are caffeine intolerant can have this problem. These products could be beneficial for body detoxification because of the “Global blend” and “Flush” products because they are made to cleanse your body and digestive system from all toxins. There is one other product in this kit that called “XR2” which can help for sleeping disorders (we'll get into that later). What do people say about this product? “I have personally tried this product & I do not love or promote this product. All of the vitamins are caffeine based, hmmmm no wonder everyone has so much energy. If you followed there diet alone without the products you would lose 8 or more lbs in one week. Food is 80% of diet without exercise. Xyngular is a weight loss program that is designed and can be purchased in kits which should help with burning fat easily and losing weight. But our opinion is that these products are only useful for detoxification because the diet plan is too rigorous and as we mentioned earlier can be considered a starvation diet which is ultimately not safe for your health and should be done under the supervision of doctors. The weight that you lose while using these products will according to feedback come back as soon as you stop the weight loss program because it is based on starvation. In our opinion, you can lose your extra weight as efficient as with these products only by having a good diet and regular exercise, and you will not regain the lost weight. If you're a man, check out the Royal 21 King, and for women the Royal 21 Queen. This is an extract which comes from the leaves and stem of the rose geranium plant. The oil extract contains several chemical extracts that seem to have antibiotic-like effects ant the oil also might have a soothing effect when applied to the skin. And some other usages of the oil extract are for nerve pain and diarrhea. Even dough there are no clinical researches on humans that provide proof for this extract effectiveness there are many articles and feedbacks from people that prove that this extract really helps against diarrhea and that it has a soothing effect on the skin. This is a plant which grains are used to make medicine. It is helpful for reducing cholesterol levels and blood pressure. And is known to be promoted for weight loss and to reduce blood sugar. It also seems that it slows down stomach emptying which can help with appetite control. There are no clinical research studies that prove any of the positive effects of the barley grass. Kelp is a brown seaweed that grows as big as a tree in the ocean it doesn’t have roots like most plants do but it anchor’s itself to the ocean floor to a system called “holdfast”. This algae is loaded with nutrients which are used to make all kinds of medicine. It is helpful for cancer prevention, weight management and contains iodine that helps regulate the hormones. It is also studied to help regulate blood sugar and insulin. Itchy spots on the skin that might need medical treatment. Some people can develop a rash and a burning sensation when they apply geranium flower oil to the skin. Barley flour can sometimes cause asthma. Barley sprouts should not be eaten in high amounts during pregnancy. How much does Xyngular cost? Unfortunately, Xyngular is quite a pricey product and it will cost you roughly $100 for a monthly dose. It does help with detox and weight loss, but not so much like some other, more powerful products on the market. That would not be an issue if it was cheaper than them, but that's not the case. Is there a good alternative? We warmly recommend Royal 21 Queen System since it can provide you with quicker effects and better results in the long run. More Weight Loss Reviews Here. I am a distributor of Symmetry Global and checking into Xyngobal since they have merged and Symmetry Global has done away with some of their great products such as Botanic Gold, a botanical soap which I use for cleaning purposes especially grease and dirty hands. I enjoyed your article on Xyngobal and can see Symmetry Global has many of saver and comparable products such as their Botanical Cleanse and Paracleanse. Have you reviewed Symmetry Global, Symmetry Direct products. I believe Symmetry is do away with competing products especially grouping of their products for specific purposes due to the merger? I would appreciate any commends or reviews. I have eliminated all prescriptions especially high blood pressure with my doctor’s advise and mainly using Symmetry’s Cardio Essentials, Advanced Omega and Mega Juice, plus Calcium Coverage. I also took into considerations some advice from a book by a medical journalist who researched high blood pressure research and studies results that he also tried and eliminated all prescriptions. I am going to be 78 in July and feel and look younger and healthy accept for a Inguinal hernia which I have been trying for quite a few years to heal by dieting with no processed foods and low meat quantities and eating vegetables,fruits and walnuts, etc. Do you have any reviews on hernia supplements. Xyngular does not limit you to 3 meals a week! Wrong. During detox, I ate 2 solid protein/ vegetables meals, 3 shakes, and a snack to boot! During maintenance, the other 9-30 days I ate 4-5 meals. If you’re reviewing a product, at least be accurate! Bunch of bunk! I lost 20 lbs that months, and never felt better. I agree, this person never even tried the product. I have lost 35lbs, and still going. I ate 2x a day on detox but days 3, 5 and 7 you eat 3x. I didnt starve and I have never felt so great in my life. I have energy, no more leg pain, I sleep better. One day a week you’re entitled to a free meal which I always have steak, baked potatoes, etc. I am never ever hungry and sometimes find it hard to eat everything. The other huge part of this program is the app for support. Just because they call it an eating day doesn’t mean the other days are not. One day you have 3 full meals and the other days you have 2. Some days are shakes in between… Others are nuts or seeds as an afternoon snack. Clearly you hae not researched this system. When doing a detox I am eating 6oz of protein twice a day as well as all the supplements and 2 shakes a day. Not hungry and so many other health benefits. Also Xyngular is NOT a sport nutrition company, it is a Health and wellness company, promoting healthy, clean eating. Obviously you need to do more research or better, try the product before giving is such a BOGUS review. Absolute Garbage! Crippling Diarrhea and they do NOT honour the return policy. My girlfriend and I bought this over the christmas break as part of of our new years resolution program. Shortly after starting the program both of us began to have extreme diarrhea, it was so dehabilitating for my girlfriend that she ended up taking 5 sick days off of work because of it and her depression came back. My diarrhea was less severe, we spoke with 2 different doctors and they said to quit immediately as this “diet” only shows results because you are to starve yourself intensely for 10 days and take commercial grade laxative for 30 days. We contacted the company hoping for our 30 money back guarantee but the fine print reads that they start their 30 day timer from the second you place the order, not from the time it is received, or even shipped out. Because of the christmas and new year break we didn’t get our packages until well into the new year but this still some how met the companies 10 business day shipping guarantee, needless to say they didn’t honour the money back guarantee. They did say we could return any unopened merchandise at a reduced % of the original amount if we paid for shipping, however the issue with this is that they tell you to open ALL your bottles on day one. As it is May now and we are still not back to where we were before we began this terrible journey, health wise, I would NOT recommend this product to any one. You would be further to go out and buy $500 worth of laxative and still be further ahead. I wish I would have listened to the reviews posted by people that aren’t earning wages from xyngular rather then the ones that are. Thrive Patch Review - Are Thrive Patches Becoming A New Hit? Bone Broth Protein Review: Is This Really Better Than Any Other Protein Supplements? 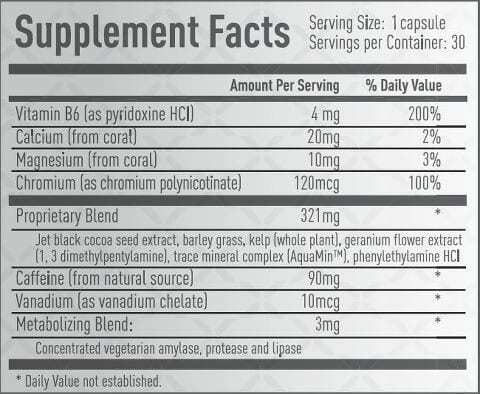 Qurb PM Review: Beware Of These Kinds Of Miracle Supplements! SkinnyMint Review: Teatox Into A Slim Body? Garcinia Torch Review: A True Weight loss Supplement or not? Redotex Review: There’s No Need To Purchase This One! Iaso Tea Review: Finally A Good Tea For Weight Loss?